Hacker group Anonymous has declared ‘total war’ on Donald Trump – and they’ve started by releasing his Social Security and phone number. The alleged hack was declared in a YouTube video posted yesterday and comes nearly two weeks after the hacktivists declared ‘war on Trump’, asking ‘anyone with a computer’ to join its efforts against the frontrunner Republican. Donald Trump has set his ambitions on the White House in order to promote an agenda of fascism and xenophobia as well as the religious persecution of Muslims through totalitarian policies. To show that we are very serious about stopping any proposed forthright by the fascist Donald Trump we have attached a gift of sorts, Trump’s Social Security number, cell phone number and other details that might be able to assist you. The hacktivists are using the hashtag #OpTrump and have vowed to ‘dismantle his campaign’ by launching cyber-operations against him. Trump’s campaign issued a statement following the alleged hack which promised to hold those involved accountable, The Daily Mail reports. And according to ABC News, a government official confirmed that federal authorities are now investigating the situation. Along with his supposed Social Security number, Anonymous released what they claim to be Trump’s cell phone number, his birth date, children’s names and company address. 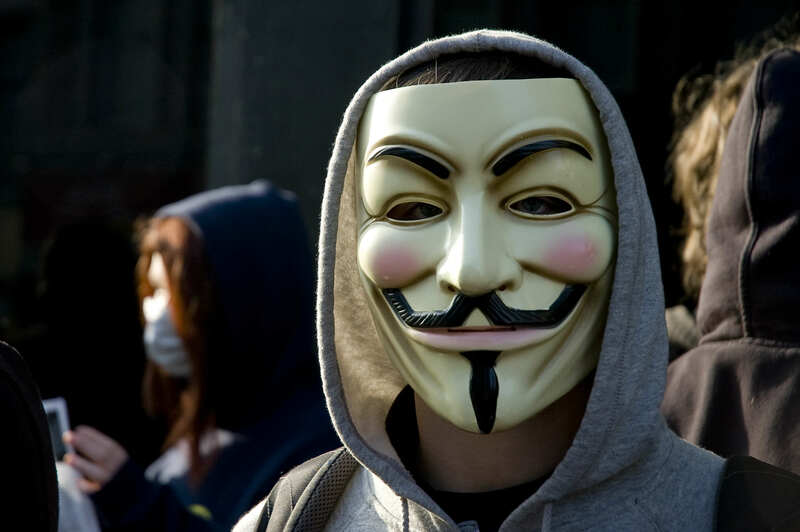 After the documents were posted online, Anonymous announced the hack on Twitter.